Civil war in the Middle East has created a scene of chaos and turmoil, especially in Lebanon. The tiny country had barely recovered from their own civil war when they were flooded with over 1.5 million refugees from the civil war in Syria. This violence, however, has done little to stop the spread of God’s Word among Muslim people! Call of Hope has had a presence in Lebanon for decades. Today we work to meet the needs of the millions of Syrian refugees in Lebanon through food, supplies, and the hope of a new life in Christ. Call of Hope also provides vocational skills training, medical care, and spiritual mentorship program for the blind and disabled. Through these unique and growing ministries, we have seen ISIS terrorists come to Christ, Muslim teachers become Christian evangelists, and thousands receiving the care and help they need in this pivotal time in Lebanon’s history. Lebanon is a country of stark contrasts. With its multi-party system, Lebanon is the freest Arab country yet one of the most unstable. A small class affords lavish living while half of the population suffers below the poverty level. In the 1950s, all signs indicated Lebanon was a successful Arab democracy. This dream was shattered by the opposing interests of different ethnic groups, causing a bloody civil war that started in 1975 and lasted until 1990. More recently, after the start of the Syrian Civil War in 2011, hundreds of thousands of refugees began to pour across the Lebanon-Syrian Border. Even today after much of this conflict has been subdued, refugees continue to migrate the Lebanon every day. Many of them come with nothing but the clothes on their backs. They settle into refugee camps that are made of shoddy tents and every day is a struggle to survive. 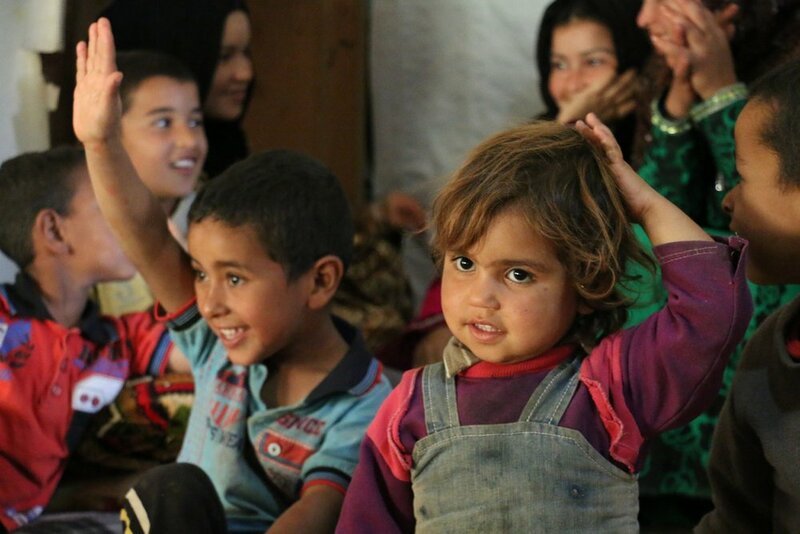 The majority of these refugees have settled in the Bekaa Valley where they are threatened on every side from troubles like brutally cold winters and food scarcity. Most have no proper shelter and live in handmade tents, sleeping on dirt floors, without food or sanitary facilities. In this dangerous and trying setting, Call of Hope Frontline Workers are fearlessly reaching out to refugees and other stigmatized groups with tangible solutions and the hope of a new beginning in Christ. Providing baby formula and food, diapers, firewood, diesel heating fuel, blankets, mattresses, and medicine. Serving about 1,000 Muslim refugees each month. Distributing thousands of evangelistic books and hundreds of Bibles each year. Evangelizing refugees, and discipling new Christians. Baptizing believers from different Muslim backgrounds. Outreach and gifts towards Muslim families, with Muslim refugees receiving Christ as Lord and Savior. Syria, once an epicenter of early Christianity, is now in the throes of a bloody conflict between pro-Assad forces, rebels, and ISIS fighters. The fight is decimating the country and leaving millions of civilians struggling to simply survive. Millions of Syrian refugees have fled the fighting, starvation and persecution for refugee camps in Lebanon. Almost every day, our Frontline Workers offer Bible studies at our Call of Hope center in the Bekaa Valley. This center is a place where refugees grow to trust and receive help. They visit Syrian refugees, living in tents, garages, or basements, providing aid with practical help and sharing about Jesus Christ. We also offer a program for the blind and physically disabled, providing Christian literature and Bible studies; as well as mobility training and medical assistance for the many who have lost their eyesight, legs, or hands bombs and shrapnel during the war. Refugees continue to pour across the border and they are in desperate need of food, medical care, blankets, and the hope that only faith in Christ can provide. At our Call of Hope center in the Bekaa Valley the refugees are given food packages, milk and diapers for infants, spiritual sustenance, and winter supplies to keep them from freezing. One food package contains: oil, rice, sugar, milk powder, pasta, canned tuna and meat, cheese, hummus, salt, and toilet paper. Over 400 packages are distributed each month. Gospel books and Bible verse calendars provide spiritual nourishment. Traumatized refugees gladly receive our literature and Bibles for encouragement. “What Must I Do To Be Saved?” is an especially popular booklet. Our work in Lebanon has touched thousands of lives, but there is still so much to be done. Please join us in prayer for this country and consider giving a gift by clicking the link below. In the Bekaa Valley, Call of Hope offers a holistic program for the blind and physically disabled. Here we offer Christian literature and Bible studies; mobility training, as well as vocational training for the disabled. A two-story facility was purchased where the blind and physically disabled meet for Bible studies and evangelistic outreaches. Christian literature, Bibles, medical assistance, and life skills training are also provided. Going forward Call of Hope plans to expand this ministry by adding a small school for blind children and more meeting rooms on the second floor, as well as a wheelchair lift for easier access. By sharing the Gospel and showing practical Christian love, Call of Hope reaches many Muslim families. Physically disabled refugees are often mistreated and shunned from their society. Please help us show the love of Christ to this remarkable group of people through prayer and consider giving to this project by clicking the link below.